Come join us at Camp and bring your outdoor adventure skills! The Adventure Trips Director leads 4 one-week long trips with high school aged campers on and off camp property. These trips include multi-day excursions of hiking, canoeing, climbing and tent camping. Prepare, organize, and implement all aspects of the Adventure Trip program and is responsible for the general safety and supervision of campers in program. Educate campers in the various responsibilities/skills of program: camping, cooking, and safety equipment; canoeing, climbing, backpacking, etc. 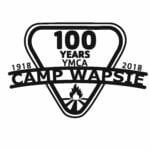 Supervise and participate in all assigned aspects of the campers’ day which includes but is not limited to: Camper check-in and check-out; meal times; activities; backpacking, canoeing, climbing, swimming, rafting; and before/after hours duties as assigned. Attend and participate in ten days of Staff Training. Employment dates would be May 31- August 12. The weekly salary for this position begins at $220/wk. Room and Board is provided. the ability to teach songs, crafts, games, stories, sports, and related skills is preferred. Bachelor’s of the Arts of Bachelor’s of Science in Recreation, Physical Education, Education or related field is preferred (or working toward degree). should have valid Wilderness First Aid, CPR/First Aid, Lifeguarding certification and climbing experience. If necessary, training will be provided.